We offer a range to ways to ensure you are kept informed, including newsletters, magazines and of course our social media channels. Keep up with the latest technology and business news with our weekly newsletter - Delivered straight to your inbox! With so many great tech or business events happening in Northern Ireland it's hard to keep up. Sign up today and never miss out again. 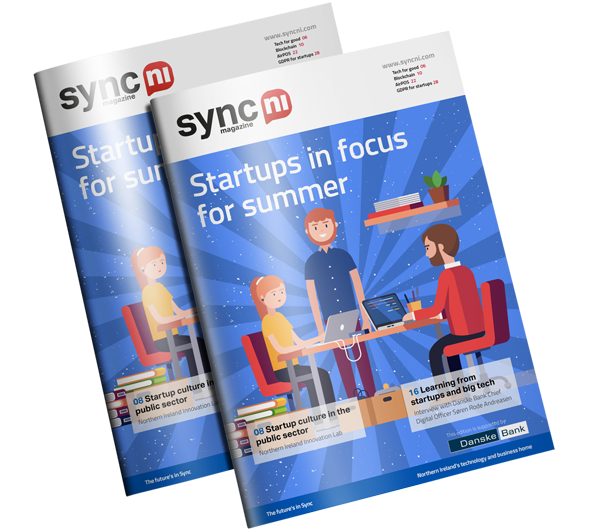 You can subscribe to receive the digital version Sync NI magazine straight to your inbox as soon as it's out, or the print version can be posted out to you. Want to save on paper? Subscribe to get the digital version for free! Get the Sync NI quarterly magazine delivered straight to your doorstep, all for free!